Is this Christmas in August? It's not even September, and here we are with the Xbox One system update planned for September, already in our hands. Maybe it's not like Christmas, but this is still a pretty big update. The patch, which is already rolling out, includes updates to the party system, GameDVR and boot-up options, as well as some brand new features. A new Media Player app: Play media files from an attached USB device or a network connected home media server with the new media player app – DNLA support coming soon. Xbox One will support more formats than Xbox 360, including support for dozens of new file formats like Mpeg 2 TS, animated gifs and MKV, which will be added by the end of the year. "Xbox On" capabilities in Australia, Canada (French), Italy, Spain, and Mexico: New regions will have the ability to use the "Xbox On" Kinect voice command to power on their consoles when they're in connected standby (Instant On) mode. This is a particularly wide variety of features that serve a huge chunk of the Xbox One userbase. If you're using the Xbox One in a family setting, for example, Boot to TV may be indispensable. Consistent improvements to the Party app are making the Xbox One online experience more and more pleasant. The Bandwidth Usage Display will be particularly useful for players in markets like Canada and New Zealand where bandwidth caps can be quite severe. 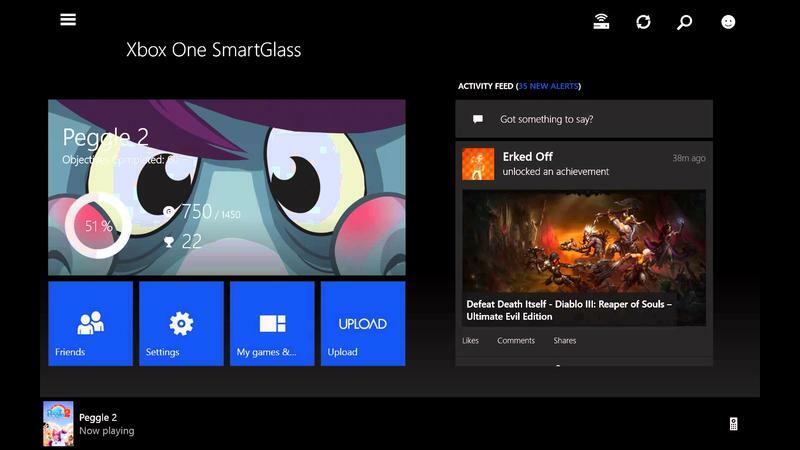 If you keep your Xbox One in standby, the update should already be in place.